One of Williamsburg’s bohemian treasures, Fuego 718, has brightened up the neighborhood with its colorful wares for almost 10 years. The shop, named for the Spanish word for fire, celebrates the aesthetic of fiery folk art from around the world. 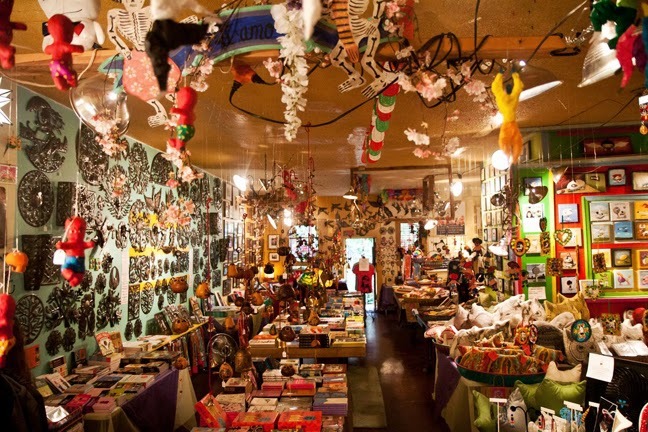 The place is filled with handmade decorative objects mostly from Mexico, but also from places like Peru, Nepal, and Italy. 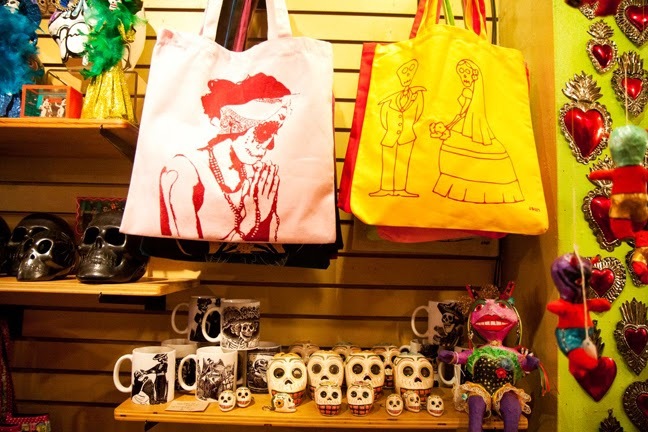 Mexican “Day of the Dead” figures and ceramic sugar skull magnets sit next to Italian tin heart Milagros, woven Peruvian bracelets, and handbags with pop-art images of Mexican wrestlers or Frida Kahlo. You’ll also find items from local designers, anime-influenced artwork, kitschy housewares, cool jewelry, greeting cards, and a large selection of children’s and art books. Come get your happy on!